With the recent discovery of three planets orbiting the red dwarf star Trappist-1 which have a similar size, mass and average surface temperature as the Earth, there has been considerable speculation as to whether one or more of these planets supports life. Although there are challenges to complex lifetime forms evolving on a planet around a red dwarf – which I discussed in a previous post – red dwarfs are the most common type of star in our galaxy. In this post I’ll discuss the likelihood that life has evolved in other places within our galaxy, including on planets around red dwarfs. 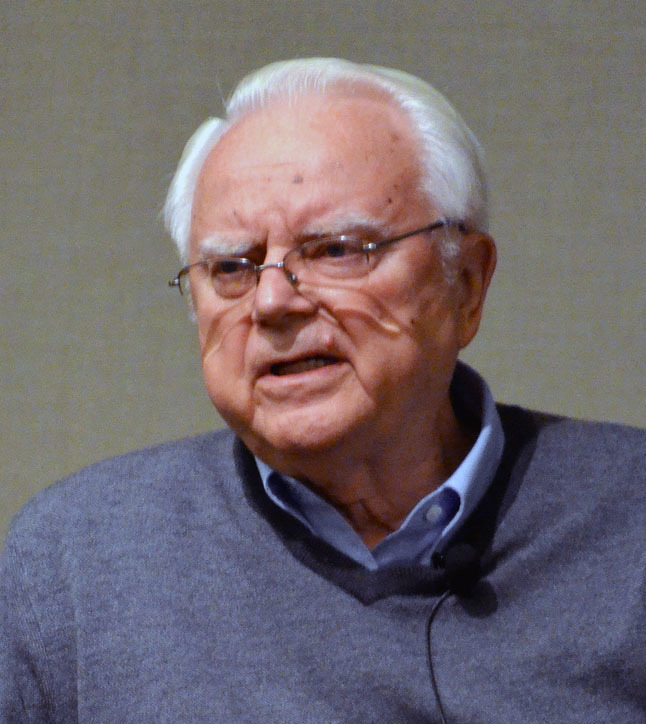 Frank Drake (1930-) is an American astronomer who is known as the ‘father of SETI’ – the Search for Extra Terrestrial Intelligence. Beginning in 1960, he was the first person to search for radio signals from aliens. As I’ll explain below, some of these numbers are known to a reasonable accuracy, whereas others are not well known and astronomers differ widely their views of what the values should be. R* is the average number of stars formed per year in our galaxy. Current estimates are that this has a value of around 10. FP is the fraction of the stars within our galaxy which have a planetary system with one or more planets, expressed on a scale of 0 to 1. A value of 1 means that all stars have planets. 0 would mean that no stars have planets. Planets are difficult to detect around other stars, because they are far too faint to be seen directly and have to be detected by other techniques. In 1961 Drake estimated that FP lay in the region of 0.2 to 0.5 (i.e between 20% and 50% of stars had planets). Current estimates are somewhat higher and that FP is very close to 1. NE is for the average number of bodies, either planets or moons of planets, with the right conditions to support life. Current estimates for this vary considerably. If most stars were like Trappist-1 then this value would be as high as 3. A reasonable value, which many astronomers would agree with, is 0.4, meaning that out of every 10 stars which have planets, 4 have bodies which could support life. FL is the fraction of bodies, with the right conditions to support life, on which life actually evolves, expressed on a scale of 0 to 1. A value of 1 means that on all planets with the right conditions life will evolve. There is no consensus among astronomers about the value of FL. 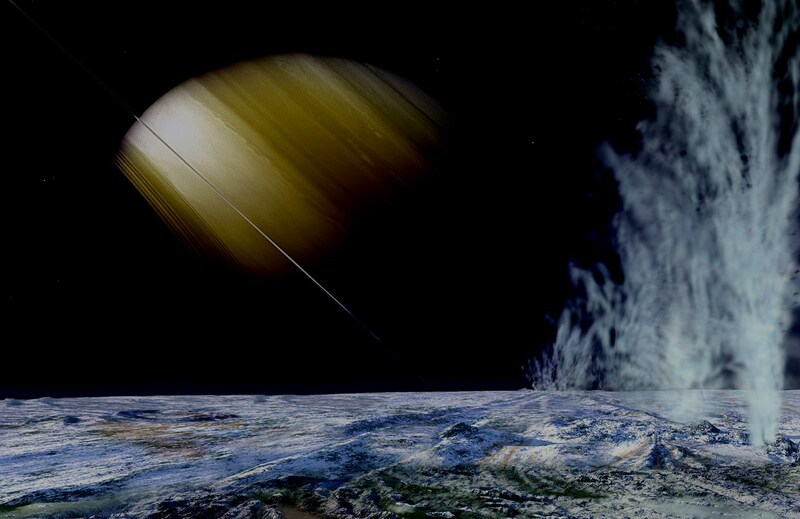 If, in the future, life is found in many other places in our solar system which have the right conditions e.g. Mars, or in the warm underground oceans of Saturn’s moon Enceladus (see here for more information) then it would be reasonable to assume that, given the right conditions, in general life will evolve and FL is nearly 1 (see note 1). FI is the fraction of bodies having life, on which life has evolved into intelligent civilisations, expressed on a scale of 0 to 1. Again, there is no consensus among astronomers about what this value should be. Enthusiasts for extra terrestrial intelligence such as Drake believe that the value is close to 1, meaning that intelligent life will always evolve. Others, who believe that it was a highly improbable chain of events which led to the eventual evolution of man from single celled creatures, believe the value is very low. FC is the fraction of bodies with intelligent life which develop a technology that releases signs of their existence into space. For example, on Earth TV and radio signals escape into space and could be picked up by a nearby alien intelligence with a sensitive enough receiver tuned to the right frequency. No one knows what the value of FC is, but current estimates are around 0.2. L is the average lifetime of a civilisation in years. This could be very short if civilisations end up destroying themselves once they have discovered nuclear weapons – or it could be hundreds of millions of years. which works out as 80 million intelligent communicating civilisations in our galaxy! One of the problems with such a large number is that we would expect a significant fraction of civilisations to be more advanced than us. Humans have only been civilised for a few thousand years and have already travelled into space. If a civilisation had been around for more than 1 million years, for example, it is likely that they would have developed the ability to travel the vast distances to other planetary systems and would have already attempted to make contact with us. The fact that they haven’t may mean that civilisations much more advanced than us are rare. It is also possible (although in my opinion extremely unlikely) that intelligent civilisations do exist and have been observing our planet for a long period of time. They deliberately do not contact us to avoid interfering with our development although they may decide to reveal themselves to us when we reach a certain level of development. This is known as the zoo hypothesis and has appeared in many science fiction stories. What is clear is that for nearly 60 years, since the pioneering work of Drake in 1960, astronomers have been looking for radio signals from nearby civilisations over a wide range of radio frequencies and have failed to find anything. Could we be alone ? Other astronomers believe that some of the values in the Drake equation are very low. There are a large number of steps which occurred between the emergence of the first primitive single-celled life forms and the evolution of man. Each of the individual steps may have a very low probability. So FI the probability of life evolving into intelligent civilisations would be extremely small. For most of the Earth’s lifetime there were only single-celled organisms and, perhaps on most places where life emerges, it never gets beyond this point. Another point is that mammals only become became the dominant life form after the extinction of the dinosaurs 65 millions years ago. Before that large small-brained reptiles were the dominant life form. Having greater intelligence does not always give an advantage over other traits such as size, speed and physical strength in the survival of the fittest. There is therefore no guarantee that evolution will result in life forms with the intelligence necessary to develop civilisations. In addition, dramatic events such as sudden changes in climate can cause any species to become extinct. Roughly 70,000 years ago, an enormous eruption occurred in what is now Sumatra, leaving behind Lake Toba. This triggered a major environmental change which caused the near extinction of the human race. Humanity could have easily disappeared at this point. Although this has been recently disputed (BBC 2010). For these reasons some scientists, such as the British theoretical physicist and popular science writer John Barrow, believe that FI could be around 0.000000001 or even lower. If it were this low, and we take the low end values for for the other parameters, then the expected number of intelligent communicating civilizations in the galaxy would be 0.000016. What this means that if we took 60,000 galaxies similar to our own Milky Way we would on average expect to find only one communicating civilisation. Ourselves! If this is the case then the Earth would not be just be an ordinary planet orbiting an ordinary star in an ordinary galaxy. It would be a very special place indeed, for it would be the only place for tens of millions of light years where intelligent life exists. 1 The Earth was formed about 4.6 billion year ago, and at first its temperature was thousands of degrees – far too hot for life to exist. The first life forms appeared relatively early in the Earth’s history, when it was less than 1 billion years old when conditions became cool enough for life to exist. This might seem to indicate that, if conditions are right, then life will evolve relatively quickly. Indicating that, perhaps, FL is close to 1. BBC (2010) Toba super-volcano catastrophe idea ‘dismissed’, Available at:http://www.bbc.co.uk/news/science-environment-22355515 (Accessed: 15 Apr 2015). 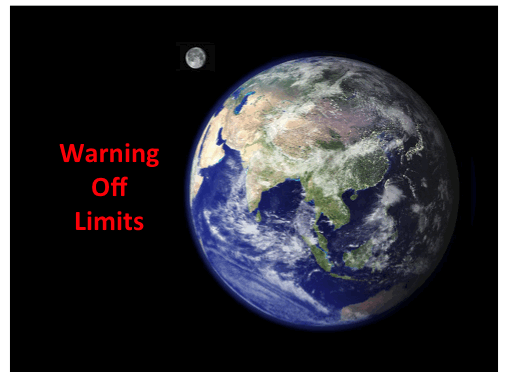 Previous Post Enceladus -Could there be life? Great post but I’d be willing to bet that none of the 80 million is as bent on self destruction as our own civilisation. I would be interested in hearing your thoughts on the contents of two books: Leslie Kean’s UFOs and Paul R. Hill’s Uncoventional Flying Objects. How probable is it that an intelligent life form (assuming there is – or has been – any) can exist for 1M years in a civilised state (by our definition) or, if you like, for long enough to develop star hopping capabilities? I’m betting on ‘life’ but I’m not holding my breath for a Star Trek style future. Certainly humans have come close once or twice to destroying civilsation on or planet. At the height of the Cuban missile crisis in 1961 an all out nuclear war between the US and the Soviet Union was a distinct possibility. Sort of going that way again, don’t you think? There is no doubt in my mind that there is life in our galaxy. Meanwhile I recommend Emphyrio (by Jack Vance) as surprising kind of introduction.. If N is large, maybe we haven’t had any sign of other civilizations because we all run into the same very real, hard limitations of the physics of our universe. Most star-hopping civilizations are depicted as having some kind of faster-than-light technology, and the most optimistic among us hope that we’ll develop something similar taking advantage of quantum mechanics or string theory or some kind of n-dimensional effect. But maybe the speed of light is a hard limit on space travel. If that’s the case, it may simply not be practical for any civilization to try to visit other stars looking for neighbors. As far as the signals we’re constantly bleeding into space (radio waves and all the other EM noise pollution): how detectable are those signals at distances of hundreds and thousands of light years (and more!)? I remember reading somewhere that our radio signals would be difficult/impossible to detect once you got sufficiently far from the source (at least with enough fidelity to tell they came from a (allegedly) intelligent civilization). I sincerely hope this is NOT the case. But I worry sometimes (in the dead of night when it’s just me and the fridge light) that when it comes to space travel, we’ll hit a kind of glass ceiling of the physical limitations of moving bodies through space, and we’ll find there aren’t any cheat codes, we’re just stuck in our solar system. And maybe the universe is filled with amazing worlds filled with beautiful, intelligent aliens, and we’re all looking out at the same stars and pining for a future that can never come. Keep that fridge light functioning JF. Nicely written, your comment. Sad, but well-put. Sad because A. Einstein (among others) who gave so much insight had to be the one to tell us drivers that yeah, 60 mph really *is* the speed limit, and no cheating. So now even in principle, I can’t drive farther than I’d get at that speed in my lifetime. Kinda cramps my tourist-destination options. Zoo Hypothesis sounds intriguing! Great post.